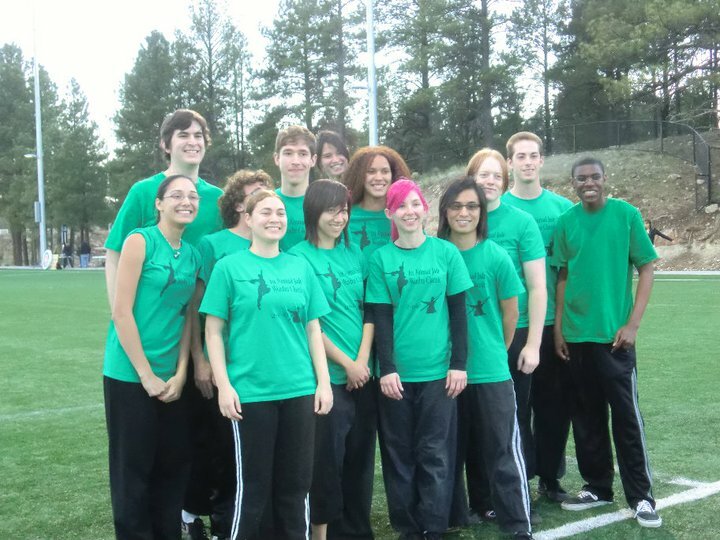 The Northern Arizona University Wushu Team was formed in the Fall of 2009. Starting small, the team has grown to include around 30 members. 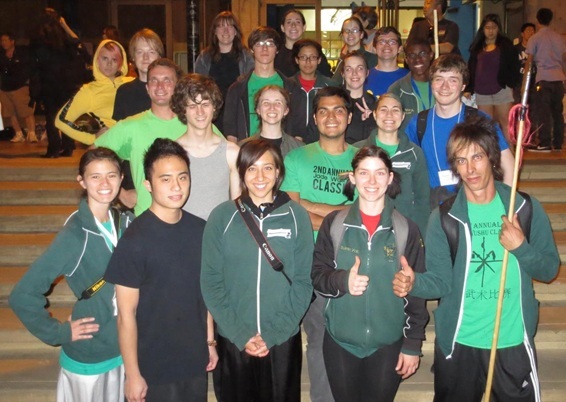 It is assembled of students, the majority of which have never done wushu before. The team welcomes new members and encourages current members to invite their friends! Students will learn stretching techniques, basics, warm-ups, jumps, difficulties, as well as traditional and contemporary wushu forms. The curriculum allows students to study what they enjoy, and their wushu education will broaden with their interests. The team practices twice a week for two hours on campus in a safe, supervised environment. It is free and open to all. For more information, email us at nauwushu@gmail.com, check out our Facebook group or follow us on Twitter! For the Fall 2014 Semester, the Team meets Monday&Wednesday from 7-9PM in the Union Field House.